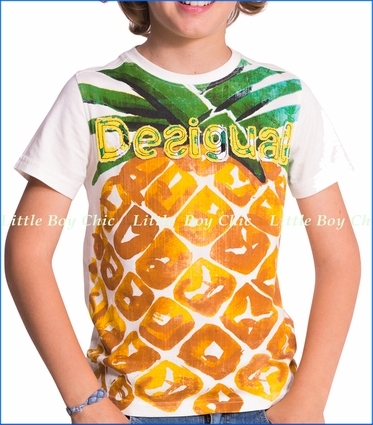 This tee screams tropical vacation - or he can pretend to be on one whenever he wears this. Vintage style screen print. Appliqued Desigual signature. Interior neck tape helps hold its shape.